People would always say, “Don’t worry. If you won’t get hired by that company, there are still many other jobs available for you.” Yes, there’s so much available as you look them up on Google that it can easily overwhelm you. Whether it’s mom cheering on you after weeks of not getting that phone call or Google showing you those many other opportunities, neither is just as consoling as really getting your dream job. HRT Staffing Services understands your frustration. 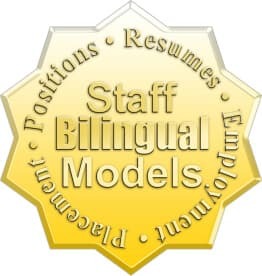 As a Staffing Service Firm, we want to help you get the best odds too. So, let’s boil things down to a 4-tip list of ideas to help you strategize and sail through the process. Walk through the doors and deliver. Walk-in applicants have higher chances of getting drafted and picked for the job than those who send their applications online. When you do things digitally, it’s very likely that your resume will be first screened by an online tracking system before it moves into the hands of the hiring manager. Cut through the process and let your resume be sifted directly by human eyeballs. Scoop: Do your homework – Read and understand the job position on queue and do some research about the company before applying. Make use of any information from your background checks and streamline your resume according to their needed strengths and roles. If you want it bad enough, you’d want to take things a notch higher. Grow your personal network in the company you are applying for and ask a few questions. Your new circle can give you a heads up about the company, nature of the job, and even the salary. If you’re lucky enough, they might work their powers to help you get an interview. Scoop: It’s the inside-job that can set you apart from other applicants. Hiring managers prioritize applicants who are recommended or referred by their staff. You may have a brilliant resume and a sweeping LinkedIn profile. But employers don’t bite that strategy if your qualifications don’t match the position you’re applying for. So, give your resume and online branding a little tweak whenever needed. Remember, these documents can make or break your dream job. Scoop: Don’t forget to switch off your activity broadcasts in your online platform. Potential employers may doubt you about all the frequent changes. Gratitude goes a long way. You never know what might happen upon expressing your gratitude. This might be the deal breaker hiring managers might consider when faced with two competent professionals. Be thoughtful enough to say “Thank You” or send a genuine email after the interview. You might just seal the deal! Scoop: Make a positive impression. The moment you get back on your computer, consider making a genuine thank you note for each interviewee and hit send. Lastly, always keep in mind that hiring managers are more concerned about what you can bring to their company than what you want from the deal. Create a professional appeal and showcase your talents that are useful to the job on queue. Get the job you’ve always wanted! Our Staffing Services in Texas can help you streamline the process and give you better opportunities for your career. 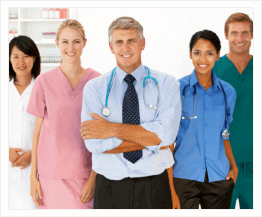 We also provide Healthcare Staffing to medical professionals. Kindly give us a call at 972-400-4400 or visit our website www.hrtechs.com for more details. 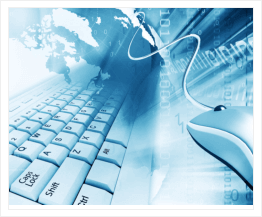 This entry was posted in Staffing Agency and tagged HR Solutions, Staffing and Recruitment, staffing company. Bookmark the permalink.